Hearings held Monday called for the retesting of the Hunters Point Naval Shipyard after allegations surfaced of fake soil samples that were collected. The company in charge of the cleanup has offered to pay for and hire an independent contractor to prove their work was valid. Supervisor Malia Cohen on Tuesday called for a hearing on the data falsification scandal that has emerged from the decades-long effort to redevelop the Hunters Point Shipyard. Cohen’s request came after documents released last week revealed that a review by the U.S. Environmental Protection Agency found almost all of the soil samples taken from two contaminated shipyard sites that were deemed as safe by Tetra Tech — the former U.S. Navy contractor that was tasked with the shipyard’s cleanup — had been compromised. Calling the data falsification an “environmental injustice of a huge proportion,” Cohen said that she was most upset by the lack of accountability on part of the Navy and Tetra Tech. On Monday, the Small Business Commission for the Legacy Business Registry unanimously voted to add Bayview-Hunters Point bar The Jazz Room to its growing list of legacy businesses. The pub, which opened in 1962, is the 130th enterprise to be added to the registry. 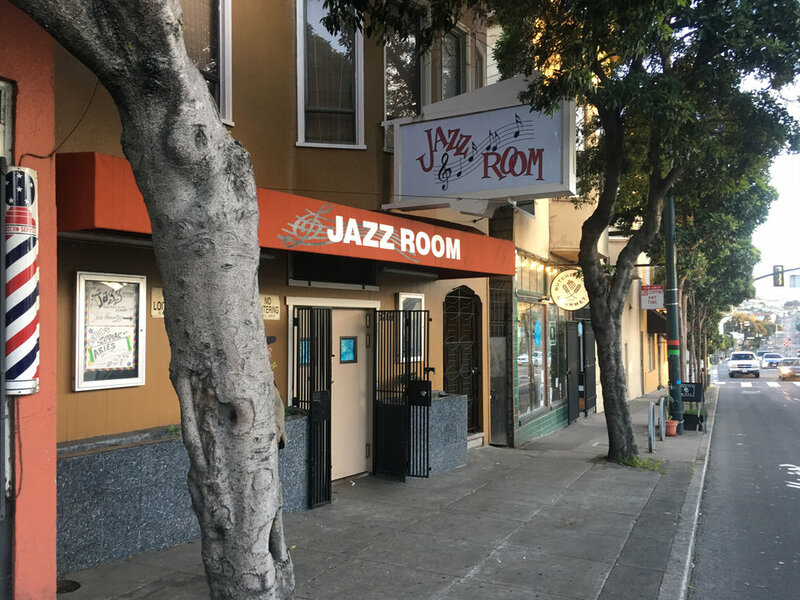 “The Jazz Room has grounded its cultural and historical significance in the Bayview-Hunters Point community,” said District 10 Supervisor Malia Cohen, who nominated the business. 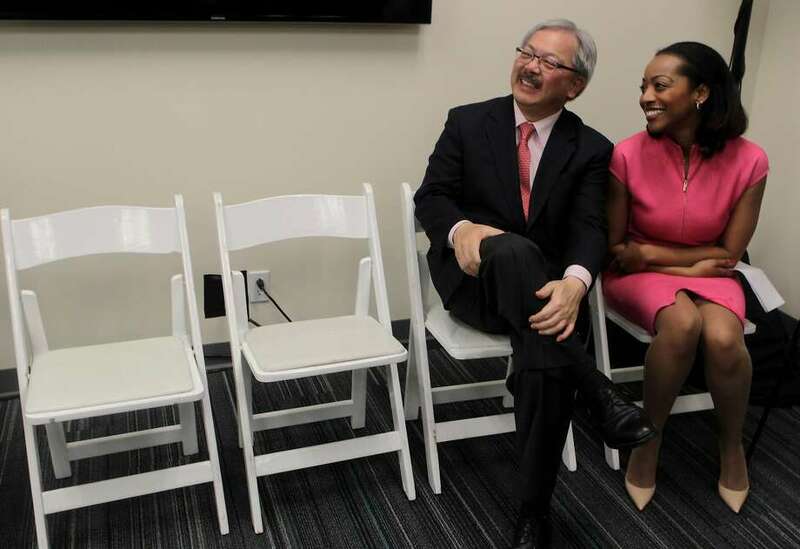 “Bernedette Smith’s family-owned business is a critical asset to the city of San Francisco." The Legacy Business Program recognizes longstanding, community-serving businesses that have been nominated by the Mayor or a member of the Board of Supervisors. Businesses are eligible for grants worth $500 per full-time employee each year, along with rent stabilization grants of $4.50/square foot. Each year, the registry accepts up to 300 businesses. Supervisor Malia Cohen has announced she now supports a state-level effort to provide matching funds to develop an open source voting system in San Francisco after hearing from thousands of residents backing the effort. Cohen’s support comes after the San Francisco Examiner reported Sunday that she was not willing to commit to sending a letter to Sacramento representatives backing the funding plan to help cities like San Francisco develop an open source voting system. Cohen said she changed her mind and sent a letter in support Tuesday after hearing from “thousands of our citywide constituents over the last 24 hours” supporting open source voting. Mayor Mark Farrell, however, has yet to support the effort and his position hasn’t changed since he told the San Francisco Examiner Friday he wouldn’t until he figures out if it’s a priority for San Francisco. A demonstration led by hundreds of San Francisco high school students flooded the steps of City Hall on March 14, as a part of a nation-wide “walk out” to demand stricter gun regulations and an end gun violence. The event, which included students from Gateway, Galileo, Lowell, Academy, Washington, Lincoln, Marshall, Wallenberg and John O’Connell schools, was organized entirely by youth. 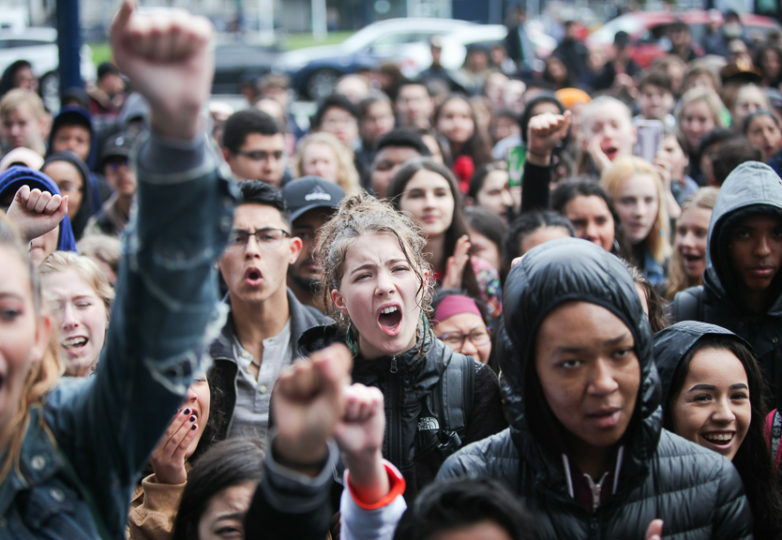 The students held the initial rally at City Hall, but then the mass of unapologetic youth marched down Market Street to the Embarcadero before finally reaching Maritime Garden. One of the young facilitators of the event, Guadalupe Cisneros, 17, said she got involved because she didn’t see anyone taking initiative in creating this event and thought it was necessary for San Francisco’s youth to take part in the national conversation about guns in school. Several city supervisors have sided with advocates in their call for San Francisco to include a commitment to police reform in a new contract with the police union that could cost The City millions more annually. All three supervisors at a Board of Supervisors committee hearing Wednesday backed advocates urging Mayor Mark Farrell to use the contract as leverage against the San Francisco Police Officers Association. But the hearing fell short of answering exactly how the reforms could be embedded in the contract. “We are in the midst of a national public conversation about police reform and I think it would be negligent for us to ignore that reality as we move through negotiations,” said Supervisor Malia Cohen, who led the hearing alongside mayoral candidates and supervisors London Breed and Jane Kim. On Wednesday, February 28th San Francisco City Hall was filled to capacity with guests enjoying the Black History Month Cultural Experience. Hosted by Supervisor Malia Cohen and the Board of Supervisors President, London Breed, the event featured music, art, dance, wine tasting and traditional cuisine. Emceed by radio broadcaster Miranda Wilson, the stairs of the Rotunda included two large portraits of Martin Luther King, Jr. behind bars fighting for justice and a presidential Barack Obama as head of the nation. The two works of art spoke to how far Black Americans have come in the pursuit of equality led by King to Obama leading the wealthiest nation in the world. “Black History Month is special because we always discover something new about not just our African history, but American history and how we’re all a part of that not just in San Francisco but throughout the world,” said Broadcaster Miranda Wilson. Each of San Francisco’s 11 supervisors has called for “equity” in the city’s cannabis laws, meaning they want to create a racially diverse industry that gives former drug offenders a shot at success. On Wednesday, Supervisor Malia Cohen presented an ordinance to help the city achieve its social justice goals when sales of recreational marijuana become legal throughout the state in January. The city won’t issue permits to sell recreational cannabis until an equity program is approved. Cohen’s proposal — modeled after a similar program that Oakland approved in March and another that’s being considered in Los Angeles — would prioritize permits for dispensary operators with marijuana arrests or convictions between 1971 and 2009. Also eligible for priority would be entrepreneurs who committed other nonviolent crimes during that time period, or who earn 80 percent of San Francisco’s area median income, or who were displaced from their homes within the past 22 years. Conservative commentator Bill O’Reilly wants the San Francisco official who criticized Fox News and defended city policy arrested for being a “disgrace,” according to comments he made on his eponymous show. The O’Reilly Factor host lashed out at San Francisco Supervisor Malia Cohen Wednesday night while going over his talking points. “If I were the attorney general of the United States, I would place her immediately under arrest,” O’Reilly said, adding that the arrest might not stick. "That woman is a disgrace." Cohen ruffled the commentator’s feathers when she went on record defending San Francisco’s “sanctuary city” policy, which shields undocumented immigrants living in the city from deportation. 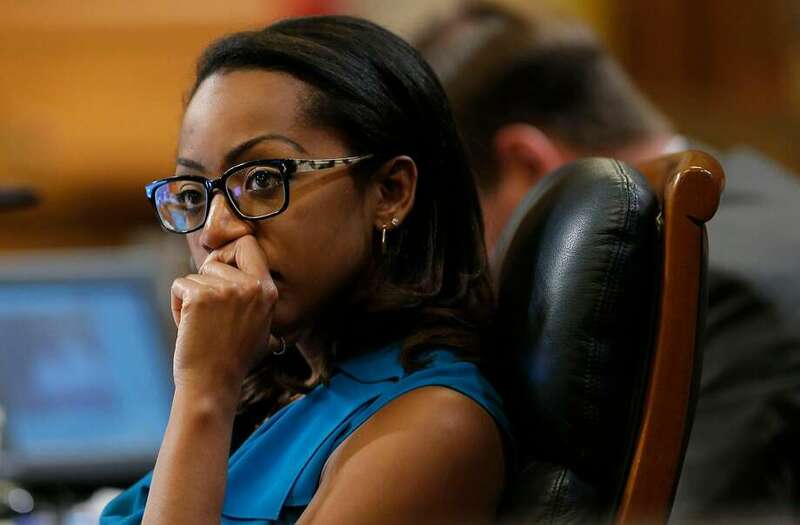 With Mayor Ed Lee traveling abroad, Supervisor Malia Cohen signed her own legislation Friday to halt approvals of new cannabis business permits for 45 days in San Francisco. The moratorium comes just as the city’s new Office of Cannabis prepares to roll out dispensary permitting regulations at Tuesday’s Board of Supervisors meeting. The sale of recreational marijuana will become legal throughout the state on Jan. 1. Cohen, who is serving as acting mayor until Lee returns home Sunday evening, said the mayor supports her legislation. The moratorium will give the city time to come up with consistent guidelines to evaluate dispensary applications, Cohen said.